... and I won't knit for nobody but me. You know, like the song... Love Machine... anyway.. that's me, lately, working for nobody but me. 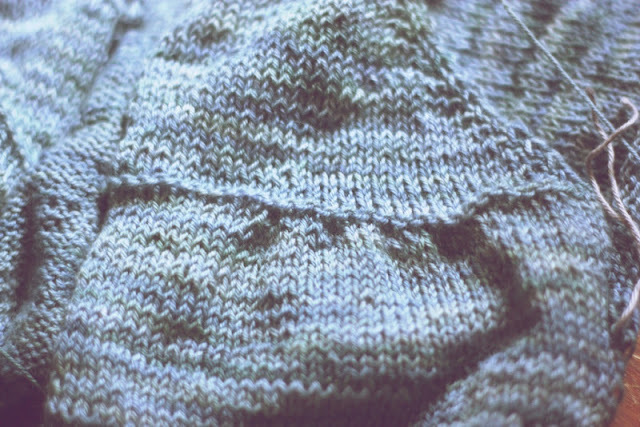 Check out the Gynx faded denim sock yarn I'm using. I love the subtle color variations. I was concerned that the lack of shaping wouldn't be flattering on me, but I'm two thirds of the way down the body and tried it on to find a really comfortable fit. 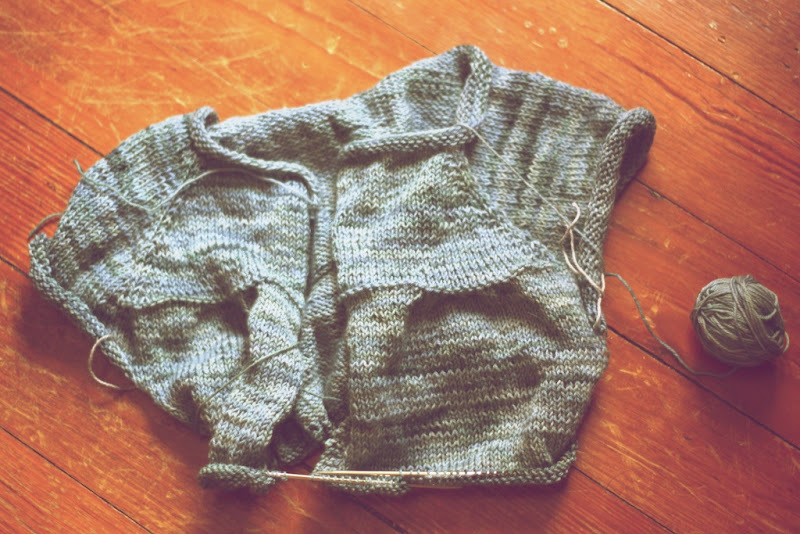 The true test will be the armholes. These massive biceps of mine need extra room to swing freely. Actually, I just spaz out if I feel constricted in any way by my clothing. This had been good tv knitting. My sister slips over, here and there, to watch Downton Abbey with me as I work on it. Yeah, I know. I can't help but watch it, even with Matthew's melodramatic walking out of his wheelchair scene and O'Brien's twisting of her mustache.